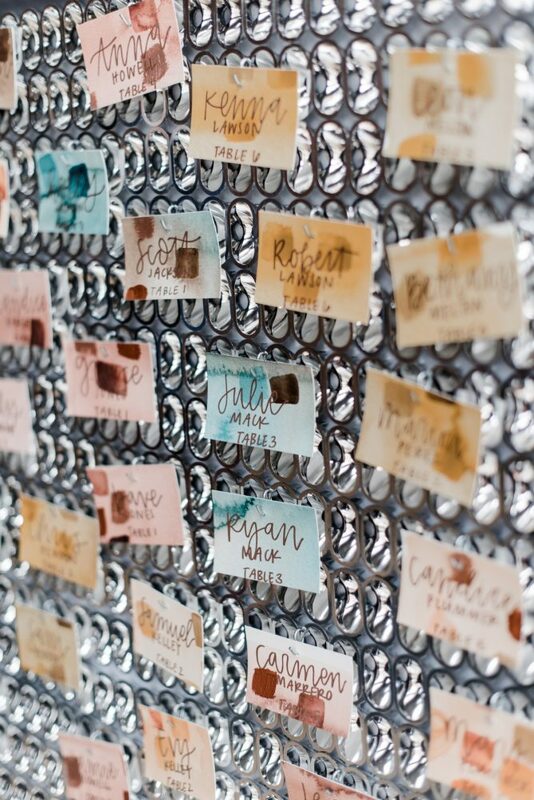 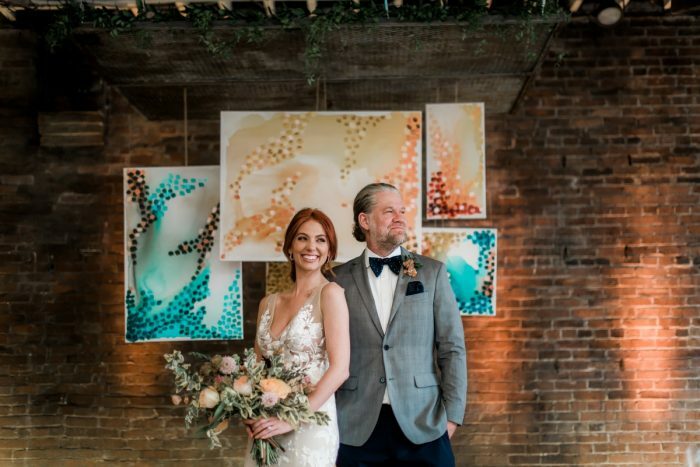 Hand-painted, art-inspired details meet dreamy romance in this styled shoot that marries traditional and eclectic wedding inspiration. 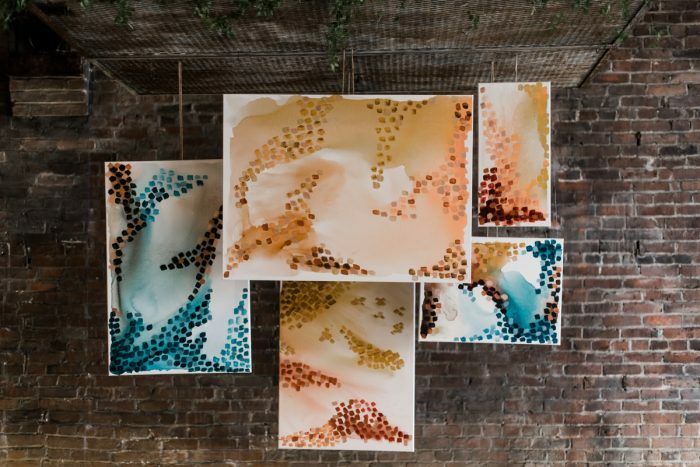 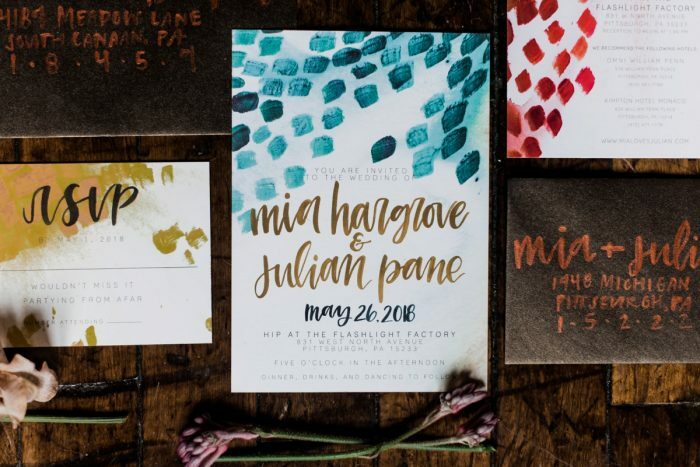 The Hip at the Flashlight Factory provided an urban backdrop for this session that features teal, yellow, orange, blush pink, and mixed metallics. 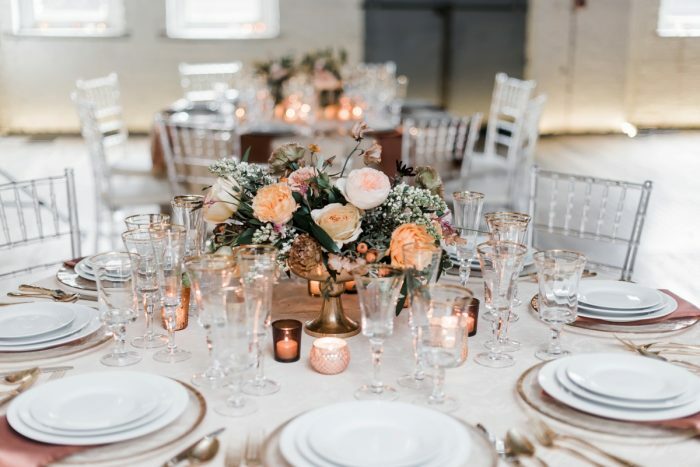 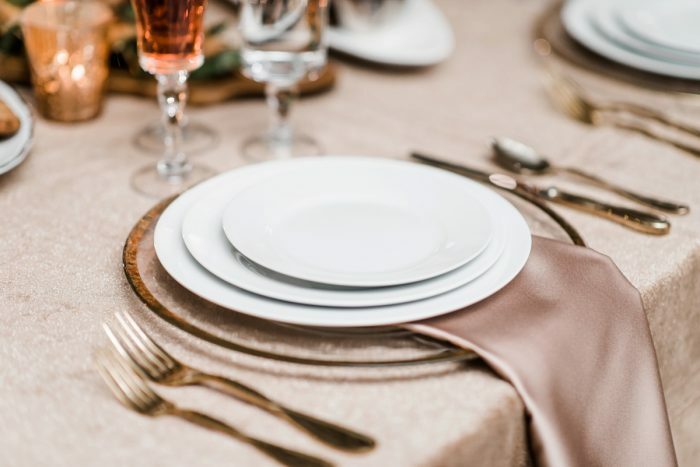 A classic tablescape of bright white china and gold-rimmed glassware from Eventioneers was accented by centerpieces of garden roses from Sapphire & Lace Design. 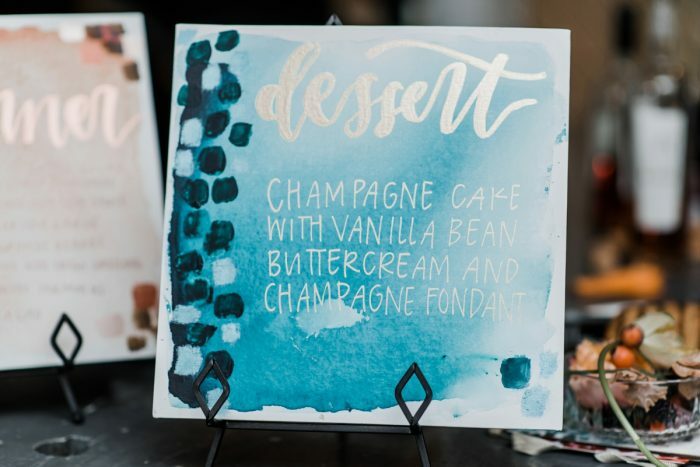 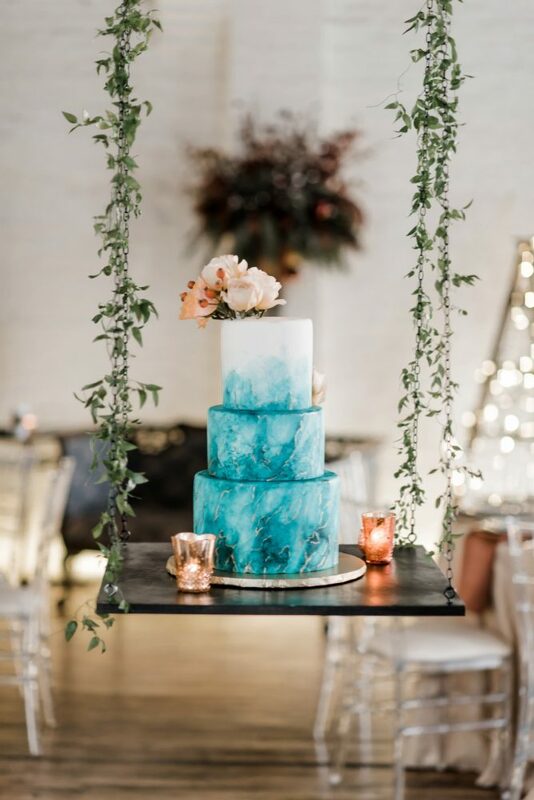 Meanwhile, multi-shaded stationery from Oh Joyful Day and a suspended teal wedding cake livened the style up with cheerful color. 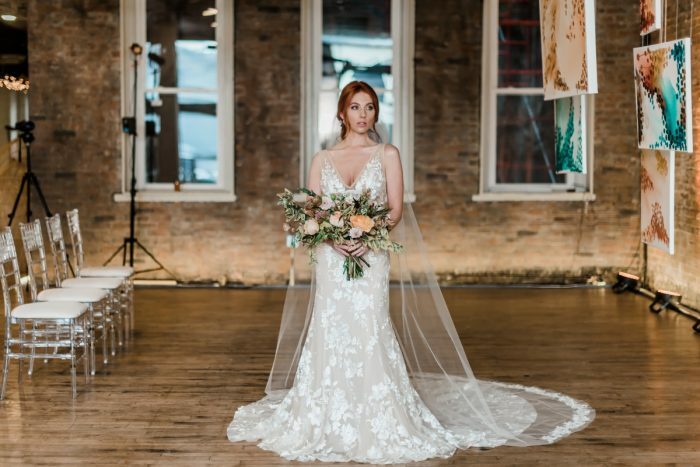 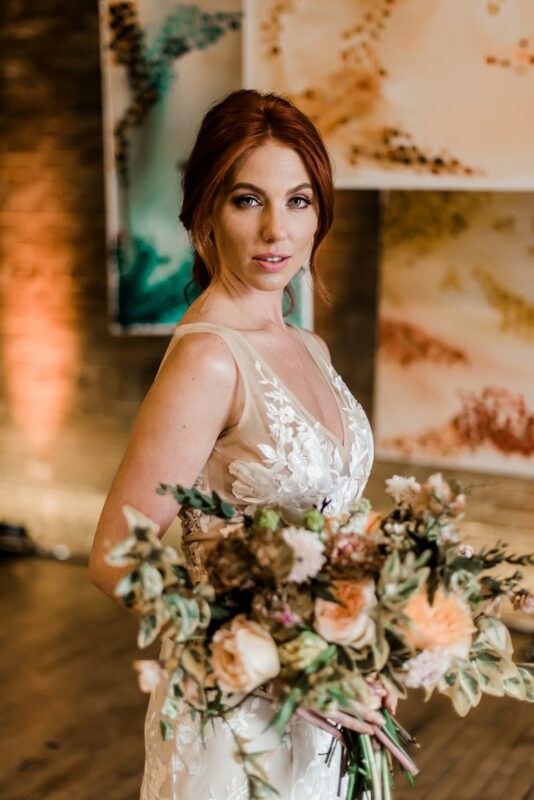 While the decor may have been outside-the-box, the model looked every bit like a bride thanks to hair by Brides by Benedetti and a floral embroidered dress from Blanc de Blanc Bridal. 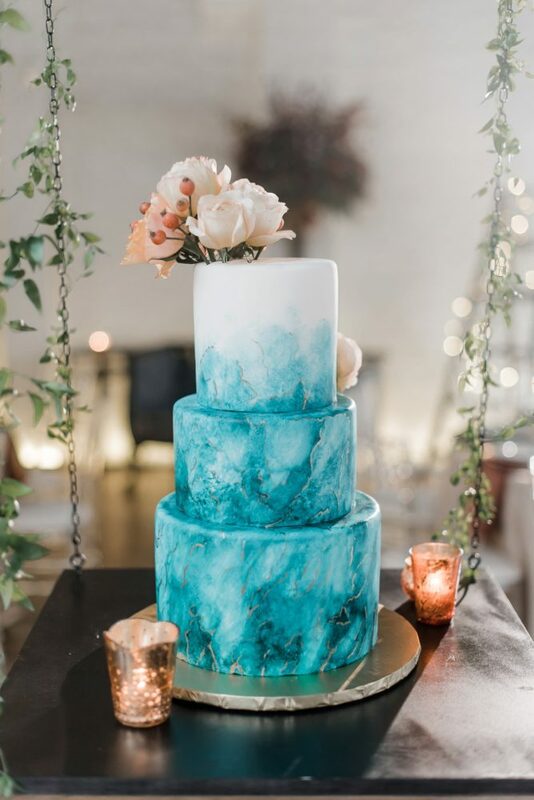 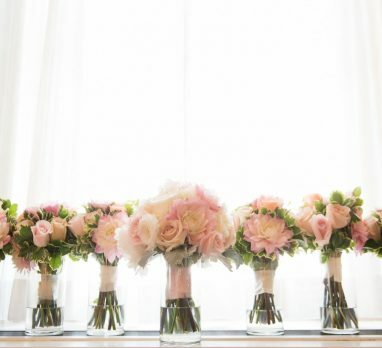 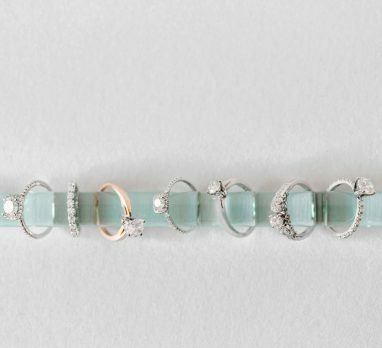 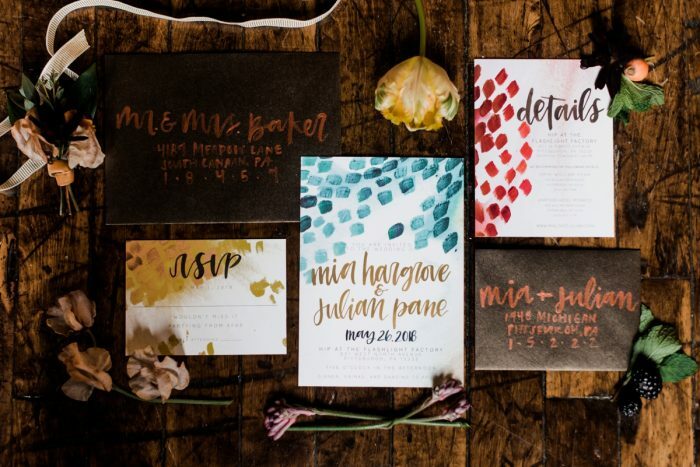 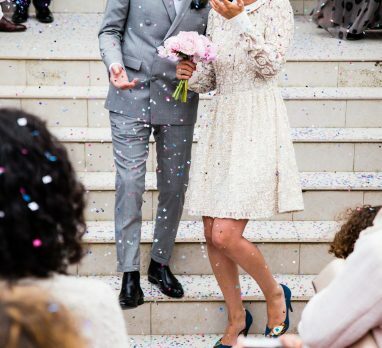 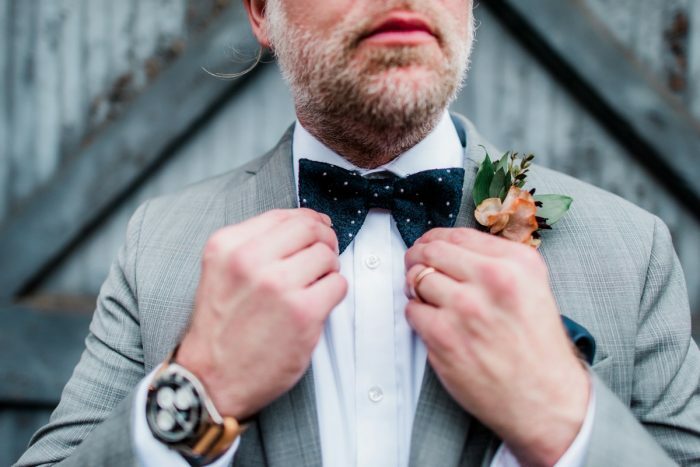 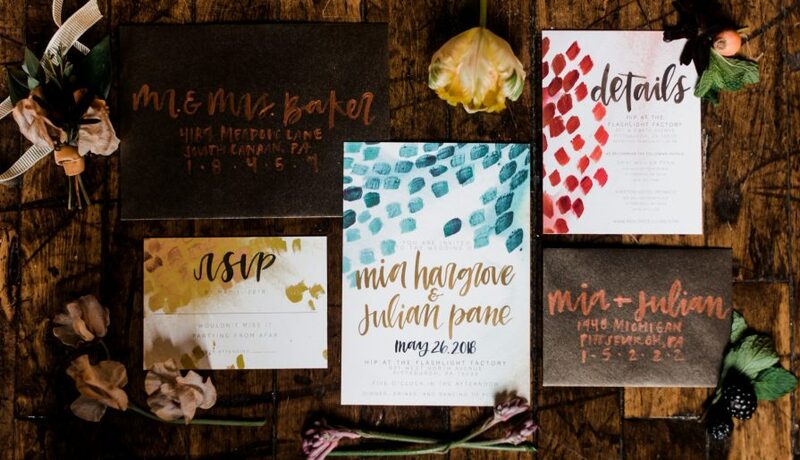 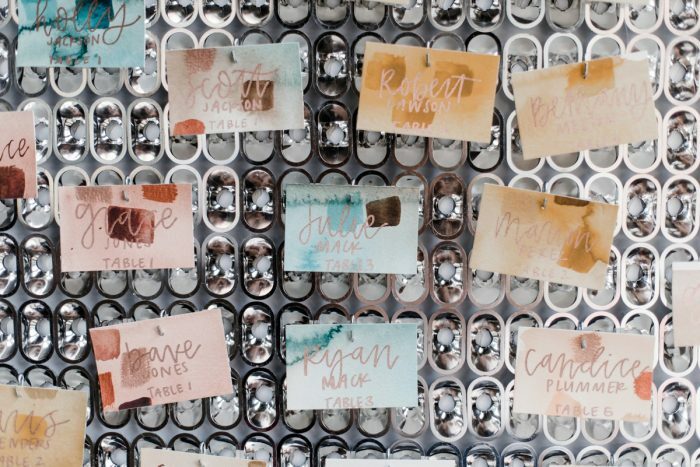 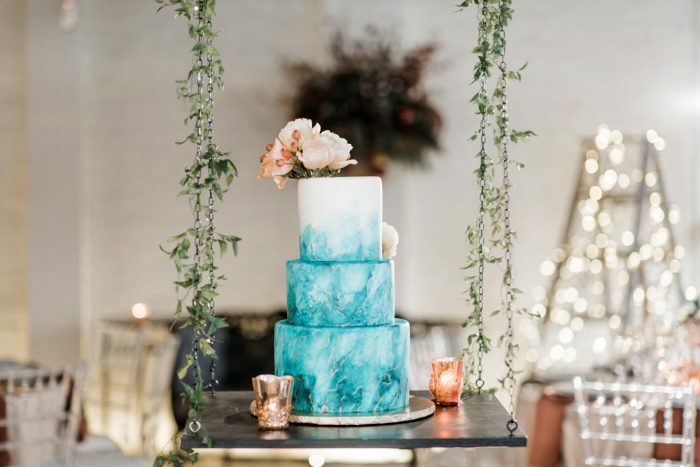 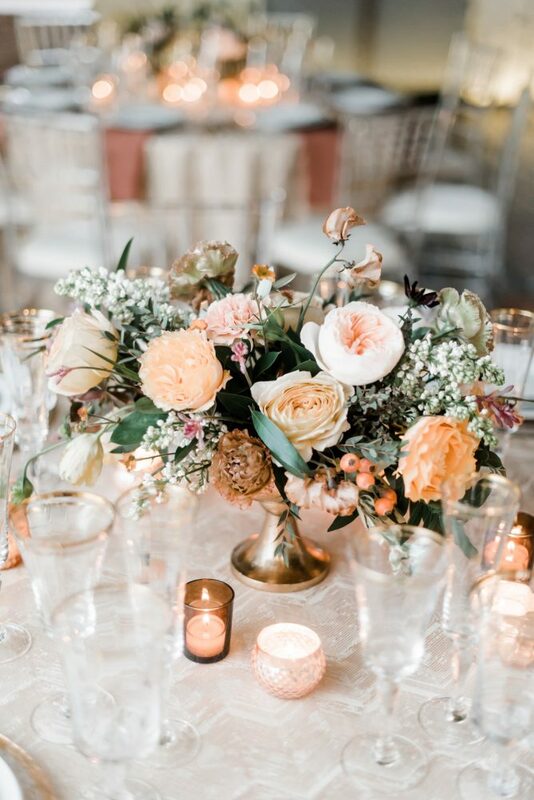 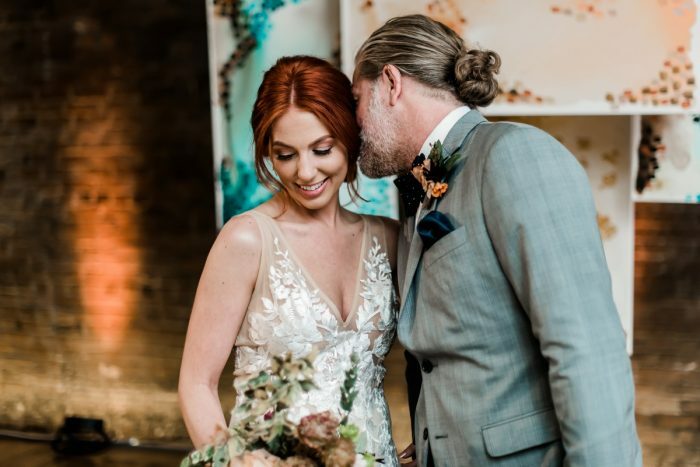 If you’re torn between two wedding styles, these images from Sky’s the Limit Photography are proof that you can have the best of both worlds! 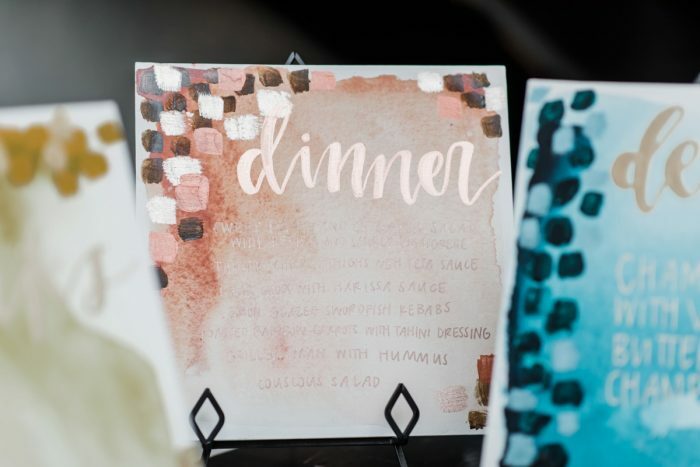 Color and fun was at the forefront of everything we planned. 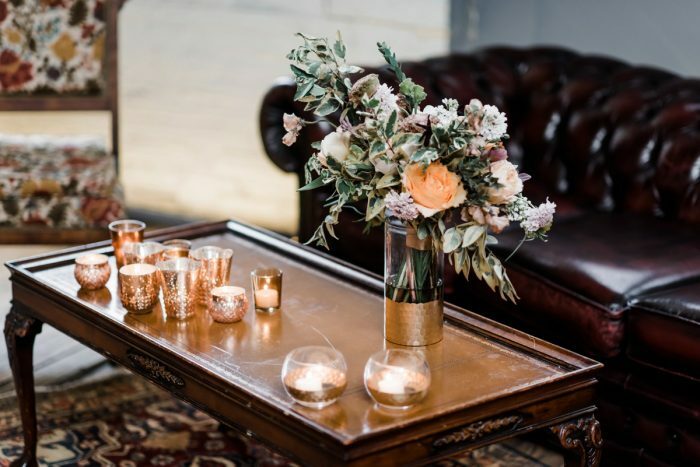 Hip at The Flashlight Factory is a new, hip venue and we really wanted to showcase the uniqueness of the space while maintaining elements of romance and fun. 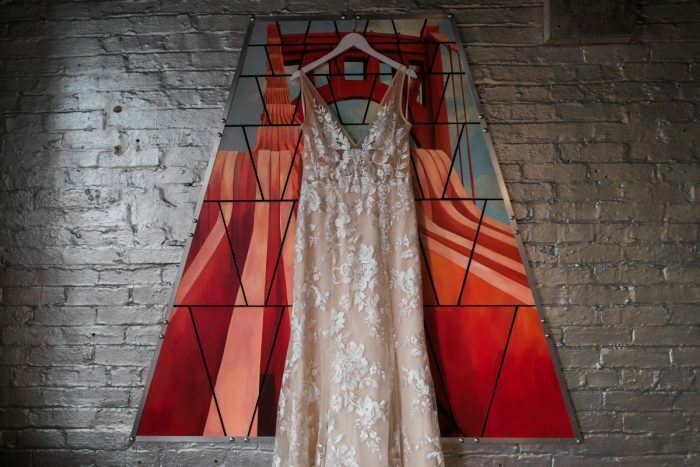 Considering the space is so eclectic, hanging paintings felt like the perfect way to highlight the session. 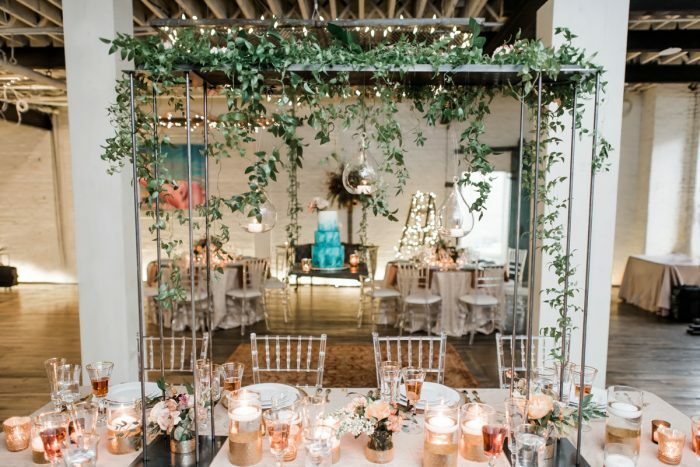 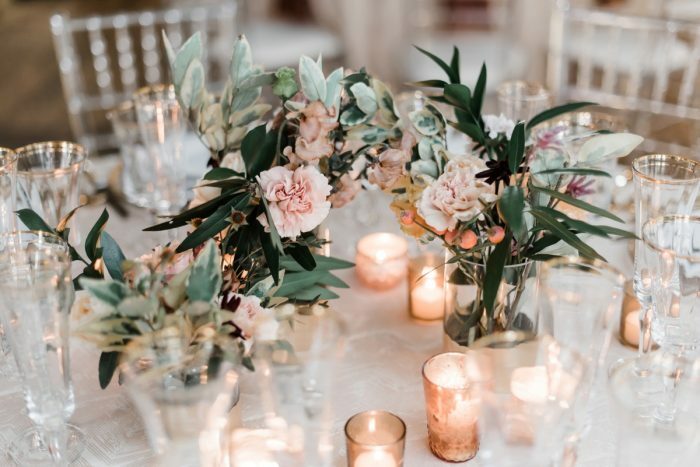 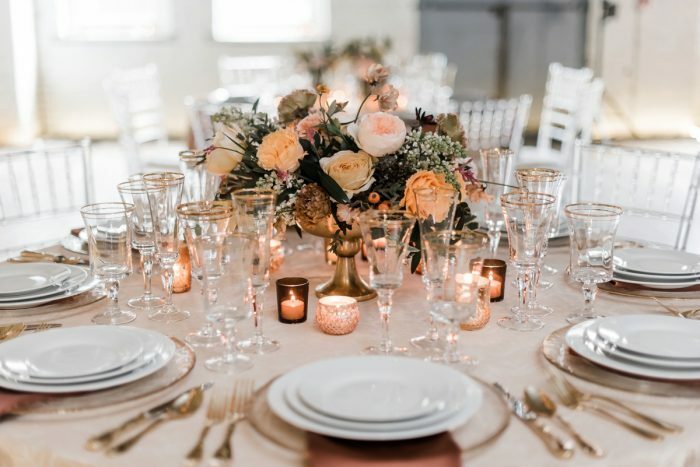 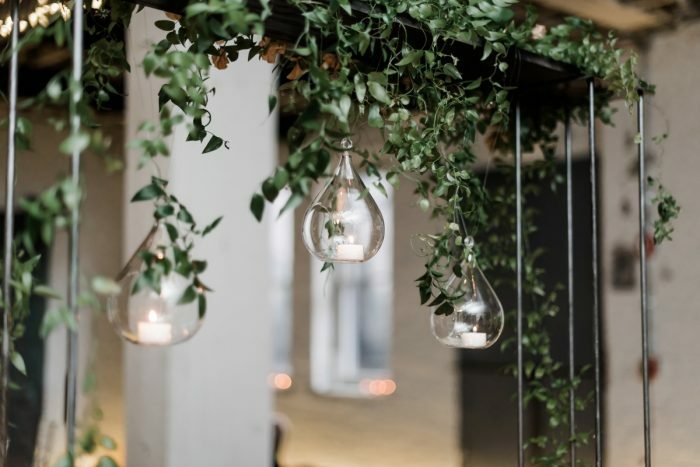 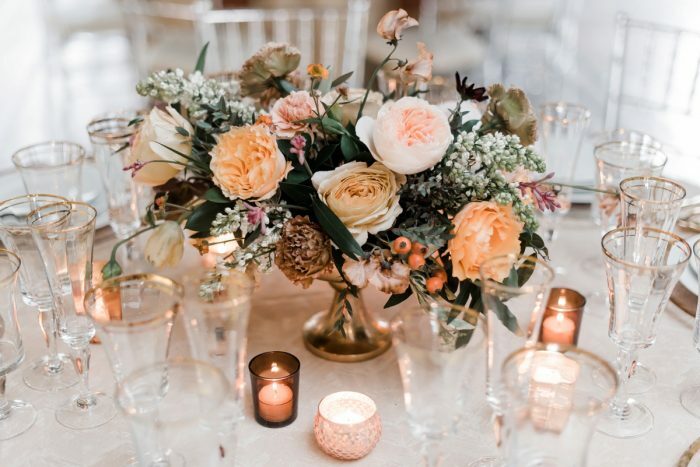 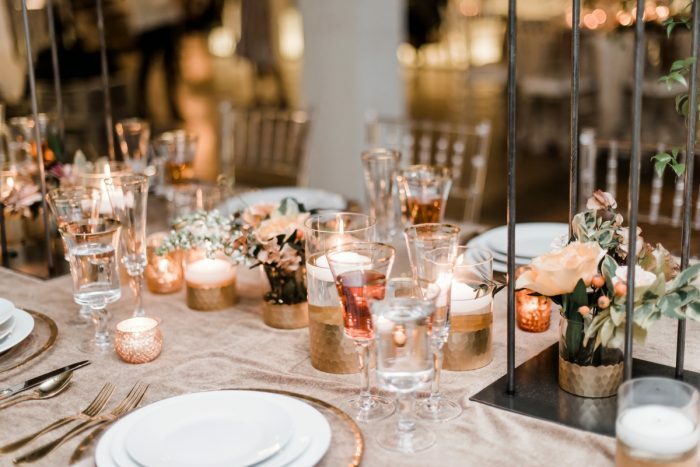 With added florals, massive amounts of candles, live music and yummy food, this shoot was clearly a hit! 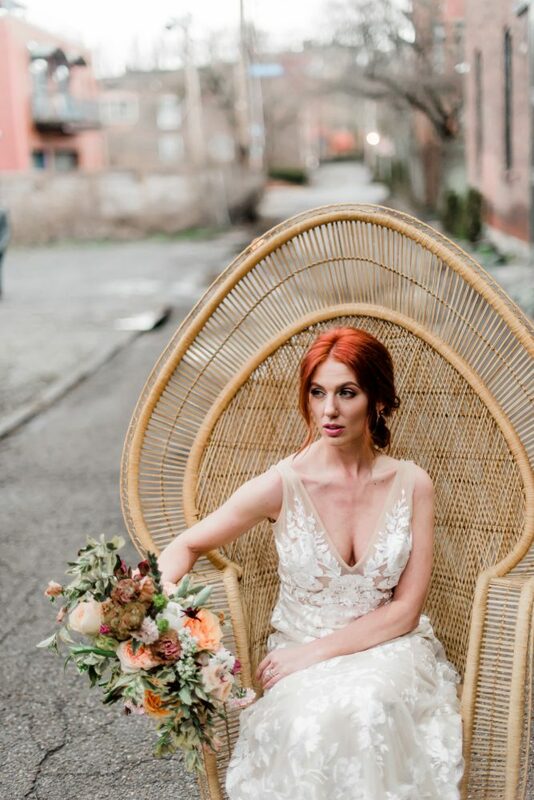 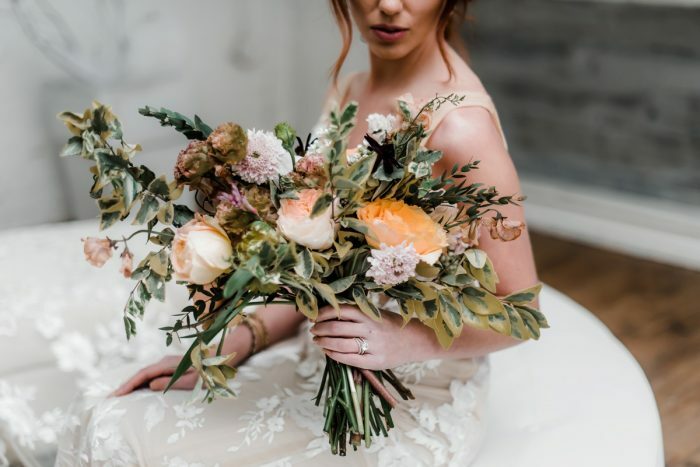 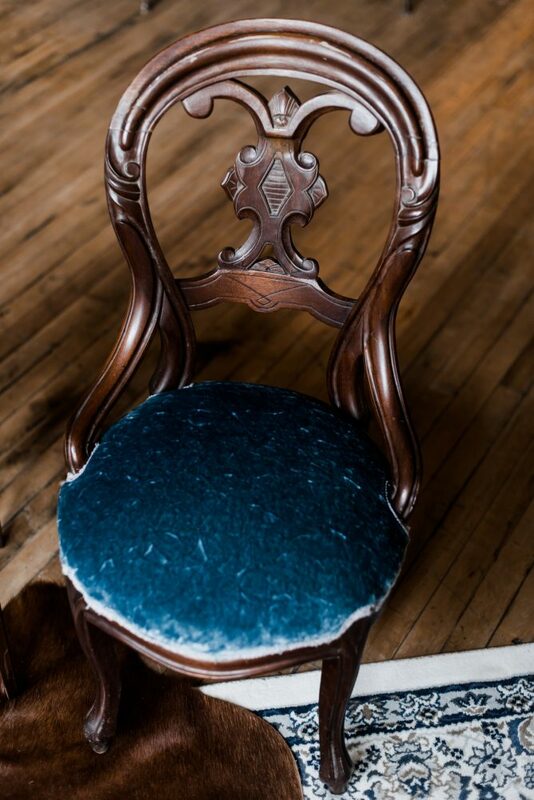 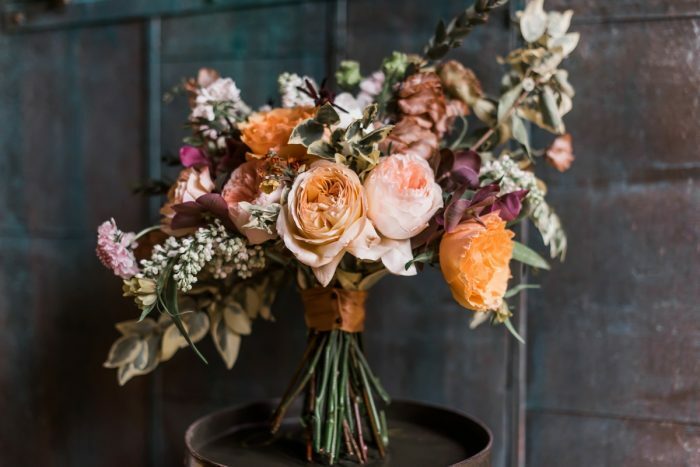 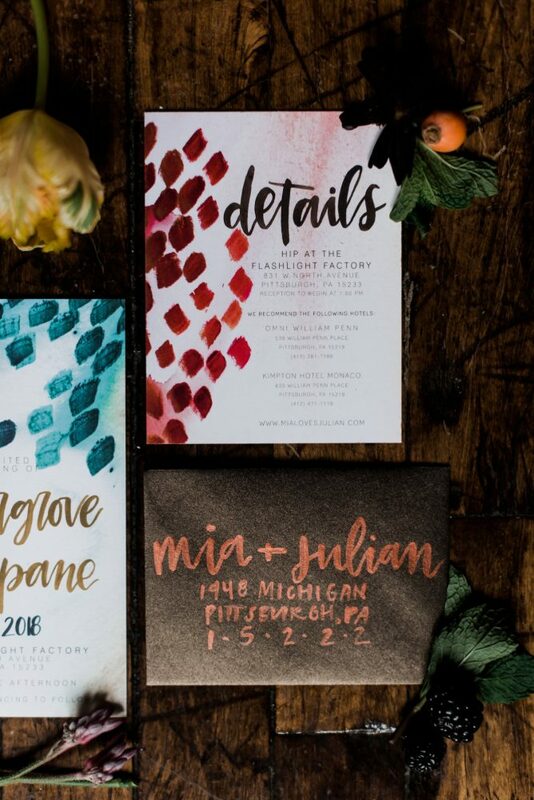 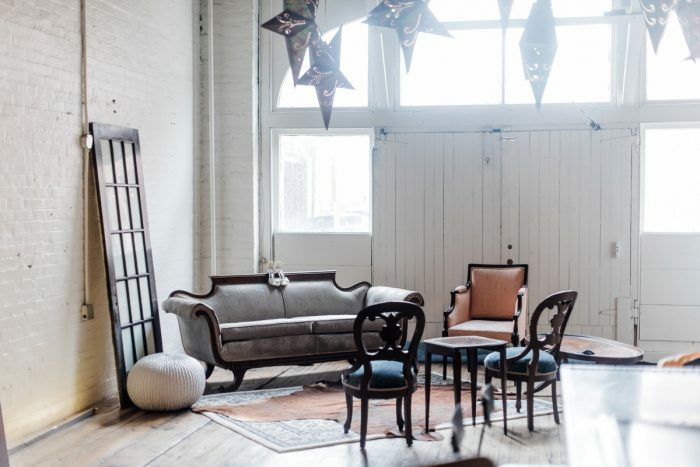 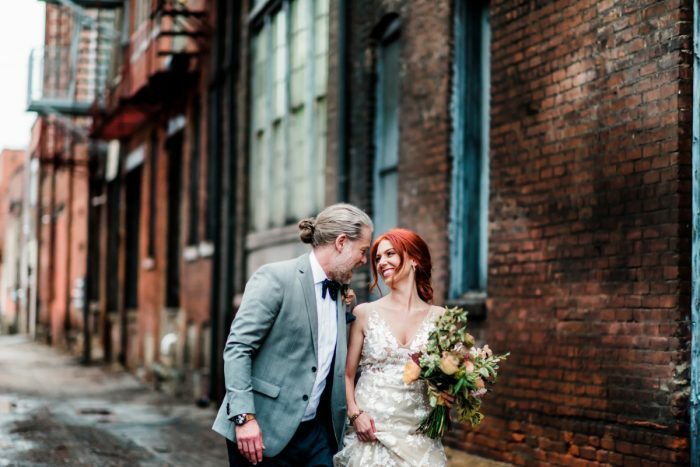 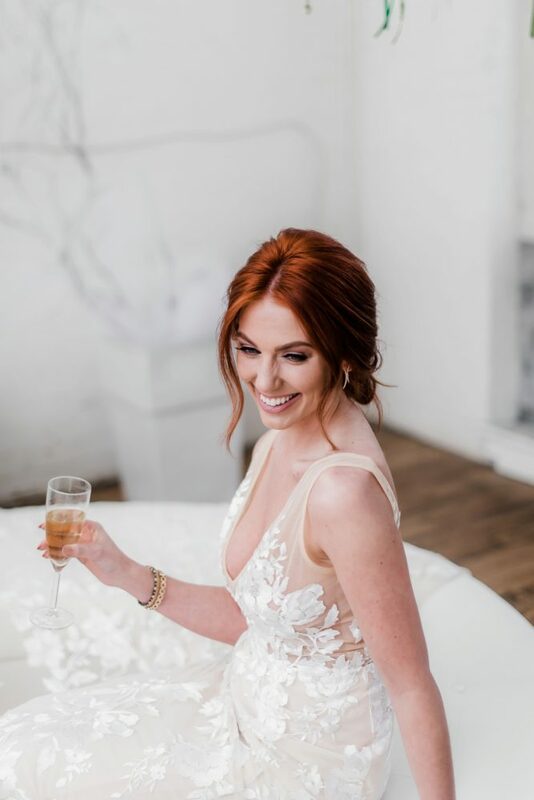 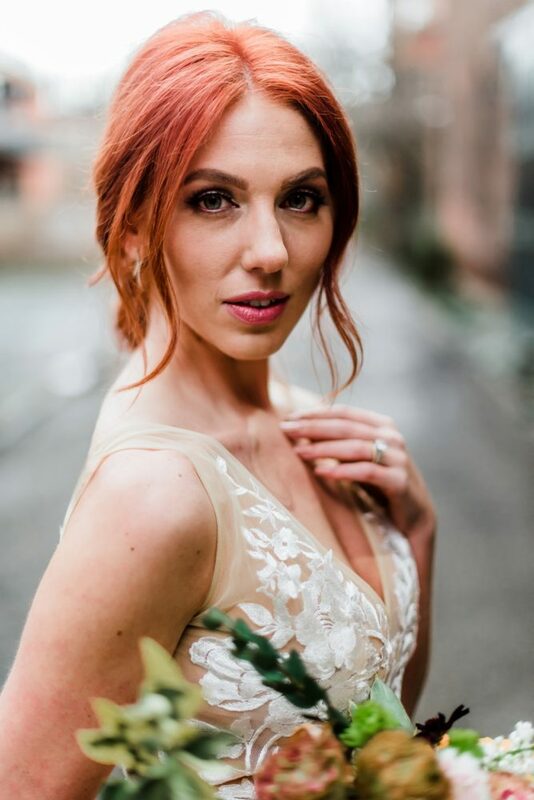 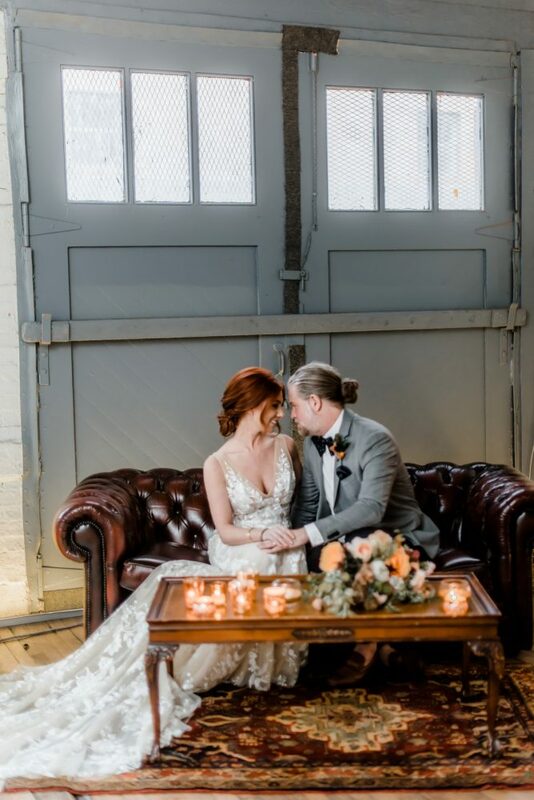 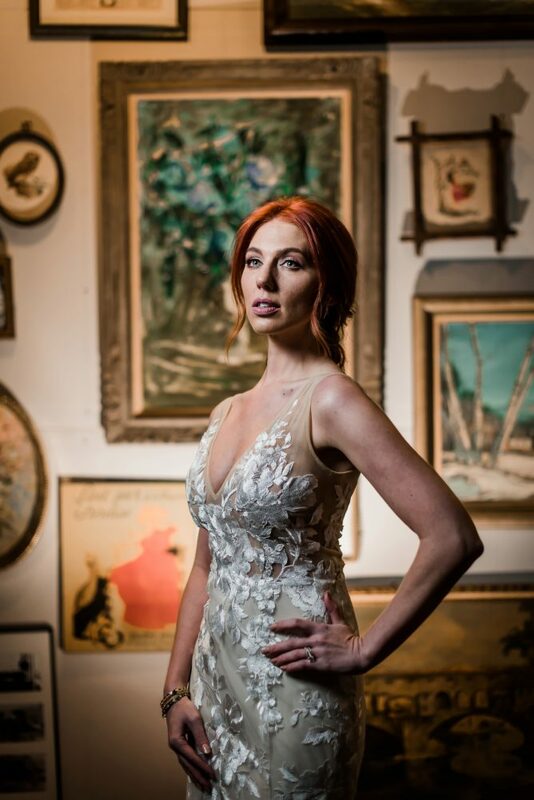 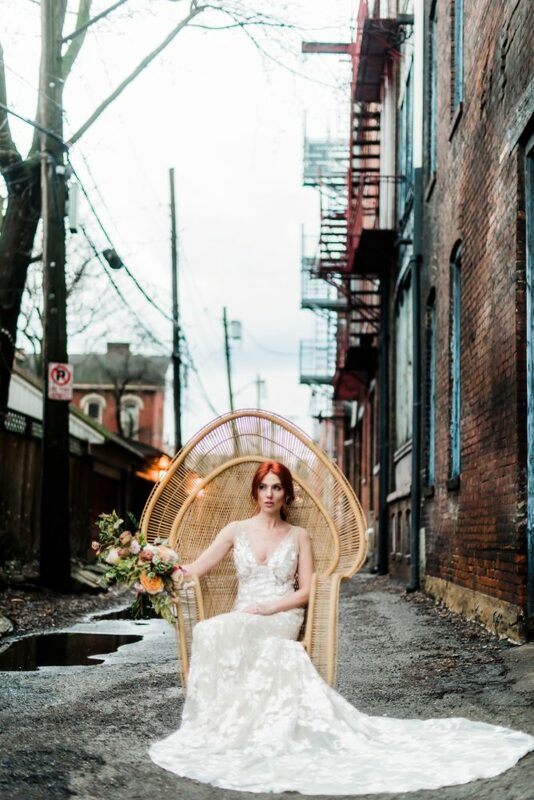 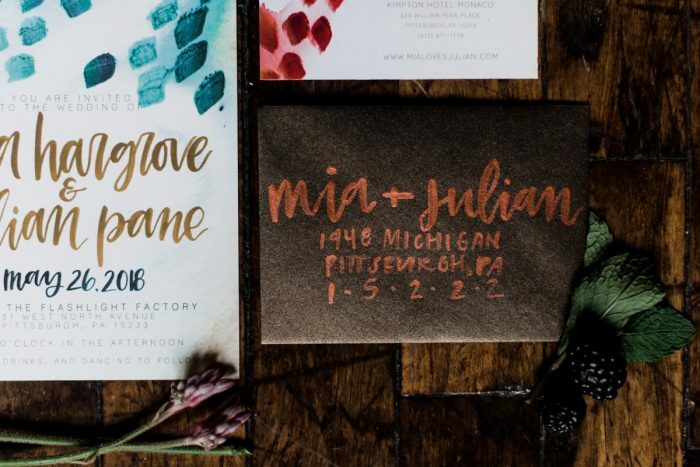 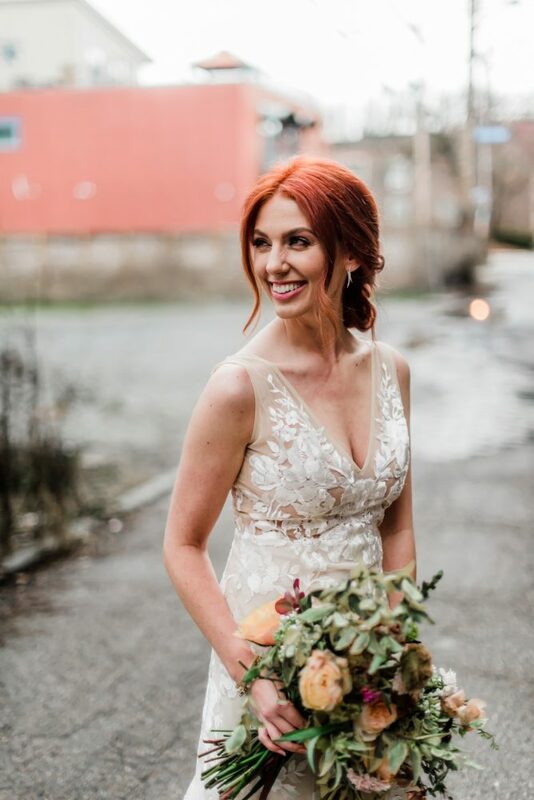 What makes this styled shoot even more special is that we invited a few VIP brides to see the shoot unfold live in action while checking out what the best of the Burgh can do when we really let our creative juices flow!